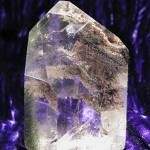 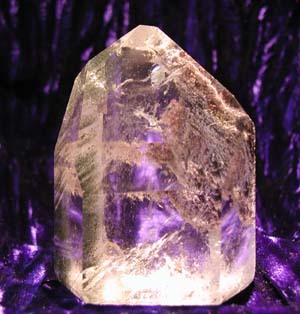 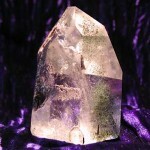 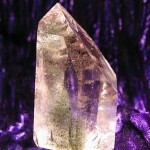 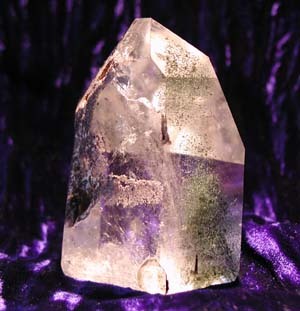 Tagged as chlorite, clear quartz, phantom, quartz, Sirius face. 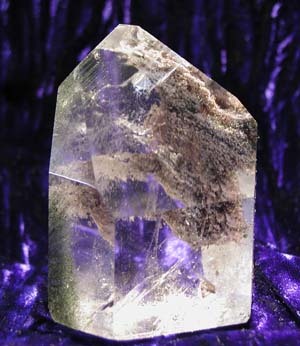 This chlorite genrator is 2.5 inches high and about 1.5 x 2 inches at its base. 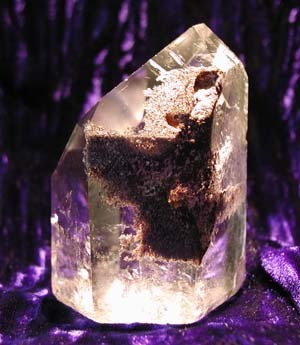 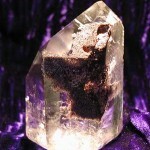 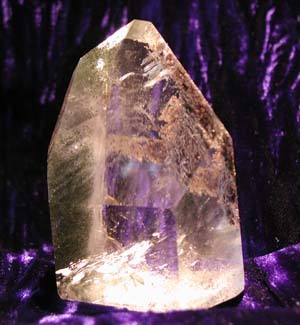 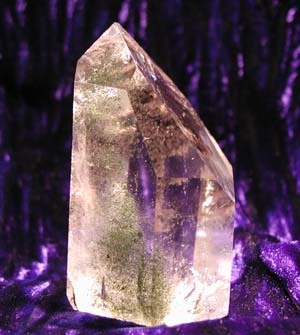 It has a strong earthy energy for the clay inclusions on the left of the crystal, and multiple chlorite phantom layers up its right side. 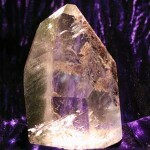 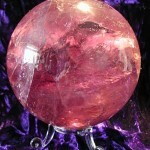 It has a Sirius face indicating a strong link with the magic of the Goddess.